"Cathy Who will I have to sing with now?? Miss you and..."
"Big love to Cathy & Stace! XO"
"I will truly miss our Saturday morning phone calls. You've..."
"So sorry to hear of your passing.Our thoughts and prayers..."
"I'll miss you my dear friend Rest easy I will remember all..."
WAYNE- Catherine D. (Lincoln) Scheibel, 71, passed peacefully on Sept. 10, 2018, at MaineGeneral Medical Center following a courageous battle with cancer. Cathy was born in Lewiston on August 22, 1947, the daughter of Waldo C. and Hallie (Grover) Lincoln. She grew up in Wayne and graduated from Winthrop High School in 1965. She received her Associates Degree in Communications from Thomas College and worked as a switchboard operator for the telephone company. Cathy spent 13 years working as a switchboard operator at Sanders & Associates in Nashua, N.H. where she met her late husband, Kenneth A. Scheibel. Together they moved back to Wayne and built a house where Kenneth died in 1991. Cathy worked for 25 years in administration at MaineGeneral Medical Center in Augusta and Winthrop Family Medicine. Quick to joke, she kept her co-workers happy and smiling all the time. A breast cancer survivor, Cathy was a strong advocate for fighting cancer and avid fundraiser for Maine General's "Walk For Hope." This year she was nominated by her peers and chosen to be the 2018 Walk for Hope Marshal. 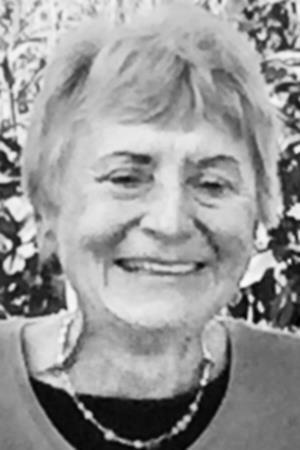 Cathy was a compassionate person with a tenacious spirit who loved flowers, working in the garden, listening to loons on the lakes and enjoying a quiet life. She is survived by her daughter Staci Lincoln Scheibel of Alameda, CA; step-daughter Martha Murphy of Merrimack, NH; step-son Grant Scheibel of Nantucket, MA; brothers Stephen E. Lincoln and Matthew D. Lincoln of Wayne, sister-in-law Alice Lincoln of Wayne, nieces Alison Lincoln-Rich of Wayne and Cindy Haskell Lincoln of Augusta; nephew Matthew C. Lincoln of Wayne; grandnephews Steve E. Lincoln III of Augusta, and Nathan Rich of Wayne; grandnieces Heidi Lincoln of Augusta and Kelli Rich of Wayne; as well as grandchildren and cousins. Friends and relatives are invited to visit from 2 - 3 p.m., Sunday, Sept. 16, at Roberts Funeral Home, 62 Bowdoin St., Winthrop, where a celebration of Cathy's life will follow the visitation, beginning at 3 p.m. Interment will be at Mt. Pleasant Cemetery in Wayne.